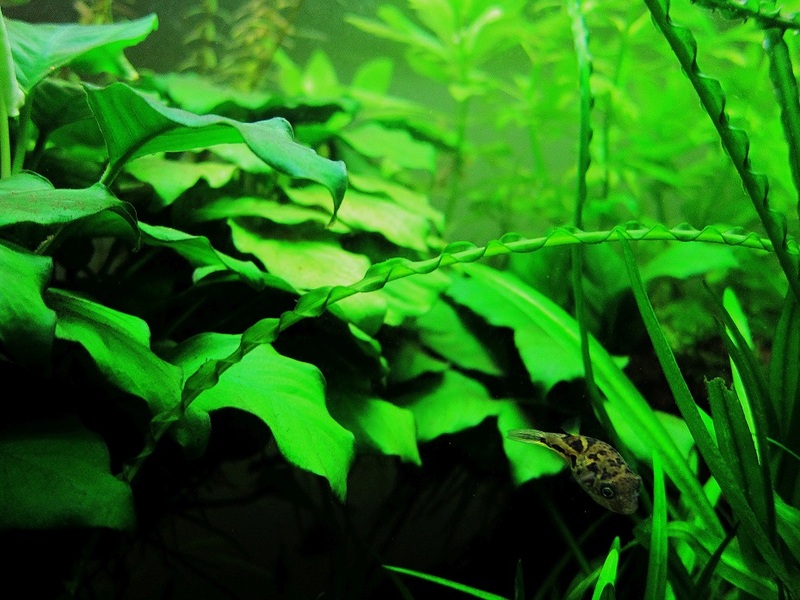 Dwarf Puffer (Carinotetraodon travancoricus) to the right of a Dwarf Anubias plant (Anbubias nana) in my 29-gallon freshwater aquarium. The Anubius was the first plant to go into this aquarium when I set it up five years ago, after tearing down my original reef aquarium. 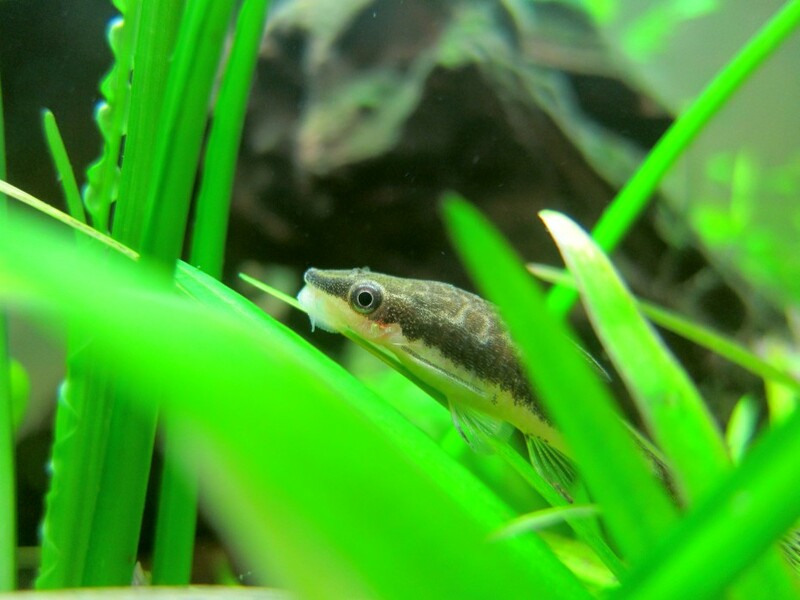 Otocinclus Catfish (Otocinclus sp.) in my current 29-gallon freshwater tank. 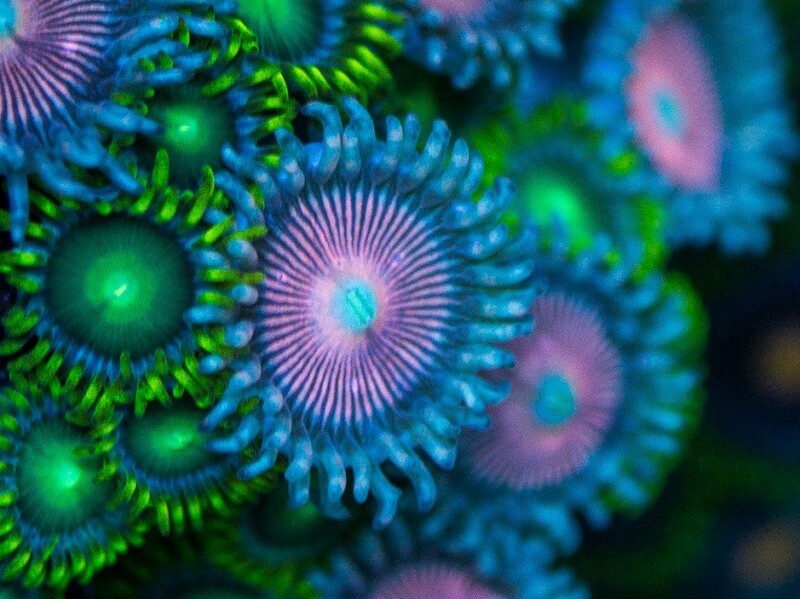 Pink Zoas (Zoanthus sp.) under a DIY setup of LED and T5 actinic lighting. 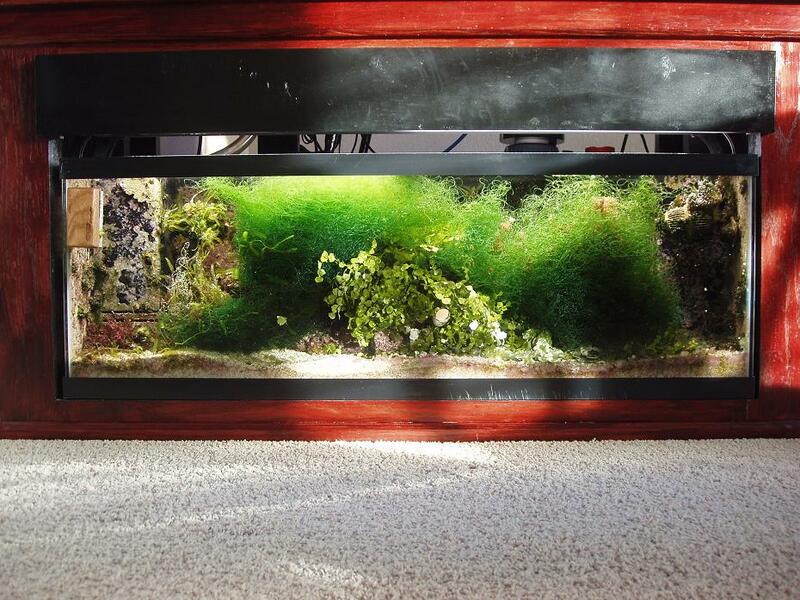 Photograph taken by Jonas Sandager in his 29-Gallon 'drop-off' reef system. 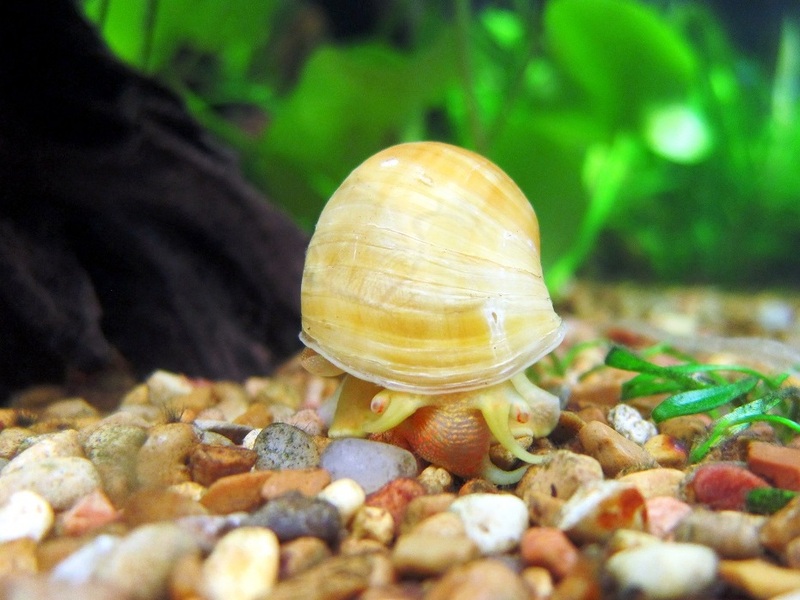 Golden Mystery Snail (Pomacea diffusa) in my current 29-gallon freshwater tank. At least I believe so, as it hasn't devoured my plants. It could just as easily be any of the other Pomacea species. 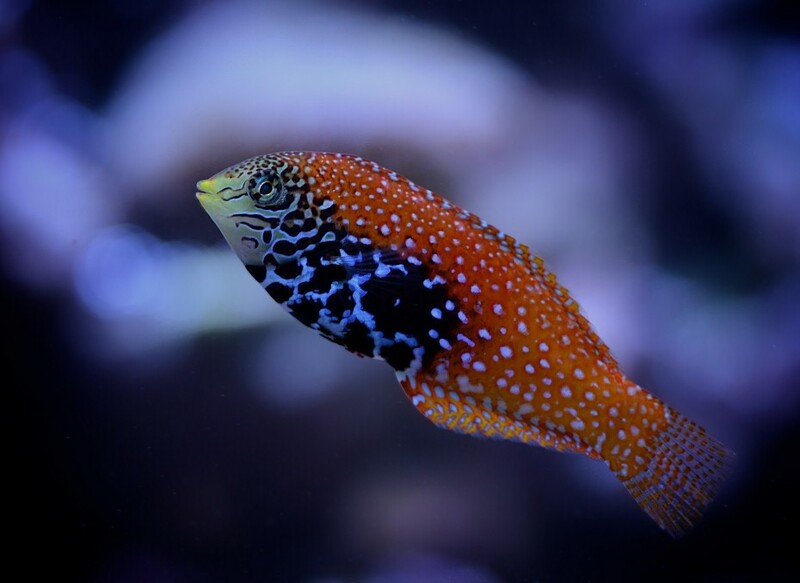 Leopard Wrasse (Macropharyngodon meleagris) at approximately six months in captivity. Photograph taken by _Aaron_ from www.reefcentral.com in his 120-Gallon, UK-based reef system. 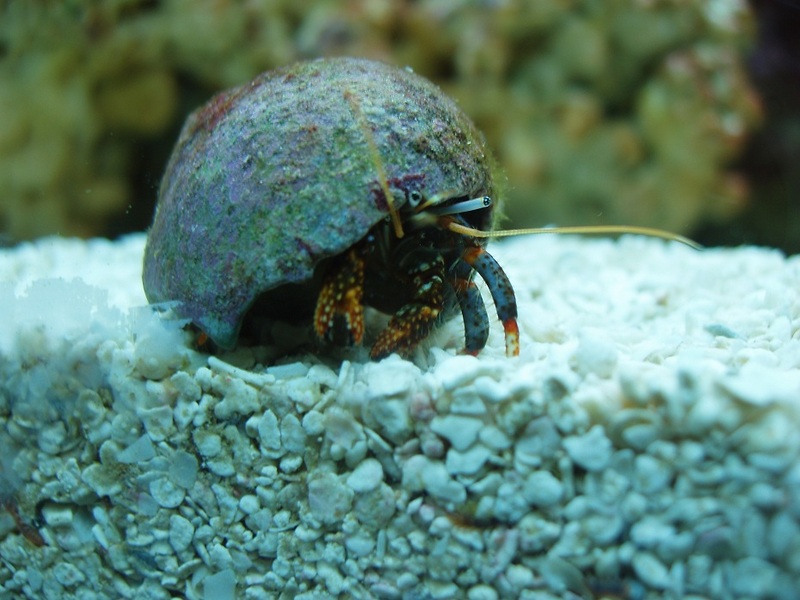 Blue-Legged Hermit Crab (Clibanarius sp.) in my old 90-gallon tank back in 2008. 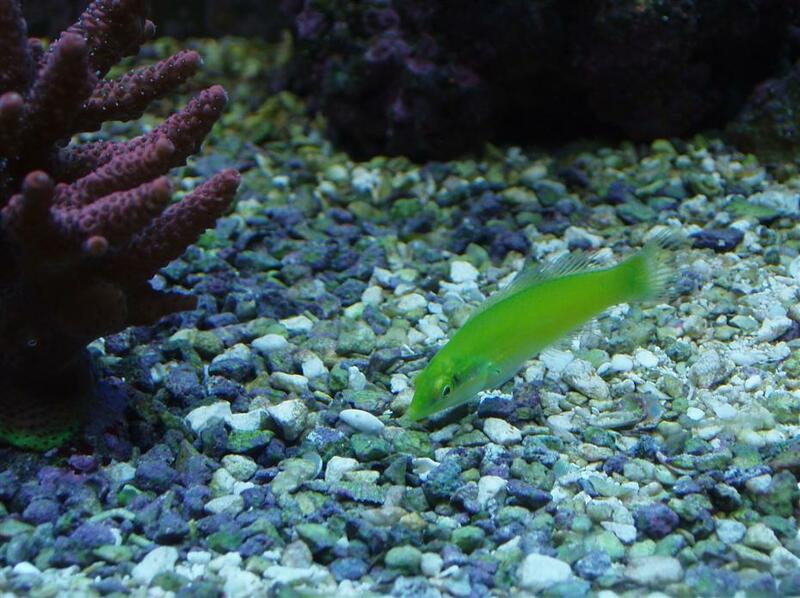 Green Coris Wrasse (Halichoeres chloropterus) in my old 55-gallon tank back in 2008. This species is known to be a burrower, and this wrasse would dive even into my gravel substrate. Dendrophyllia (family Dendrophylliidae) in my 90-gallon tank. I have been feeding this colony once a week for nearly a year. 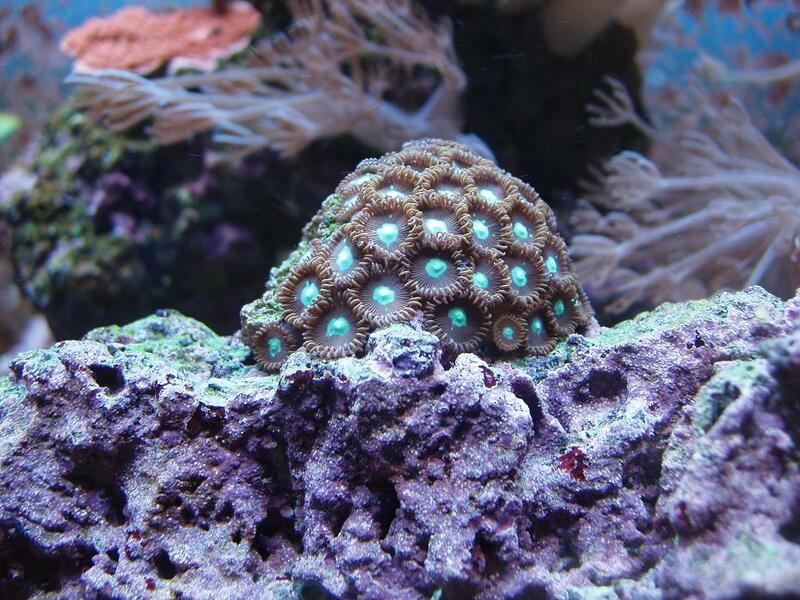 Mint Green Zoanthids (family Zoanthidae) in my old 55-gallon tank back in 2008. Unfortunately, this specimen perished in my old 90-gallon tank during hurricane Ike. 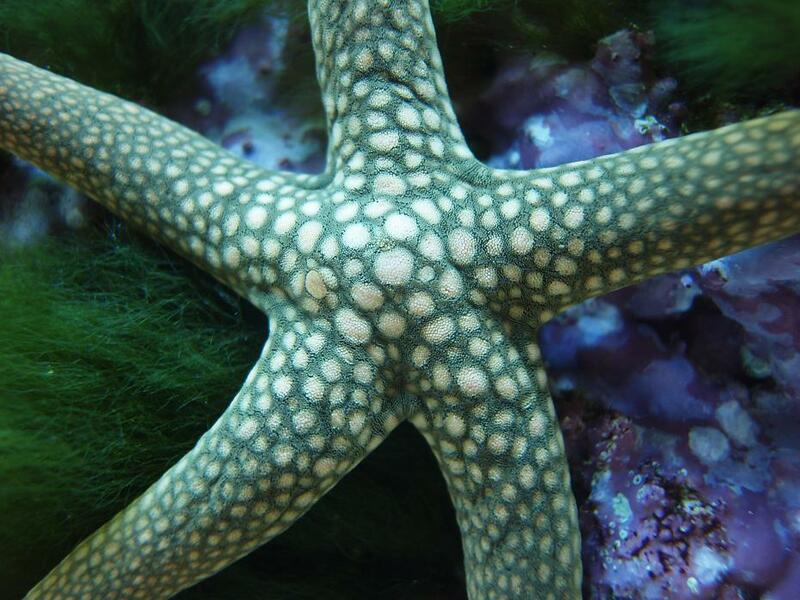 Marble Starfish (Fromia sp.) in my 90-Gallon tank. 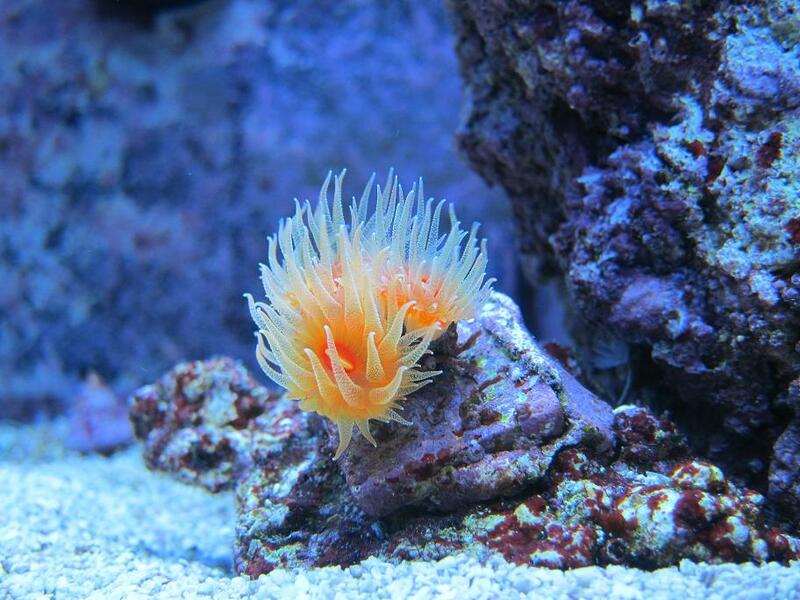 This specimen has been in the aquarium for approximately four months. Dwarf Mermaid's Wineglass (Acetabularia calyculus) in my 40-Gallon display refugium back in August 2008. 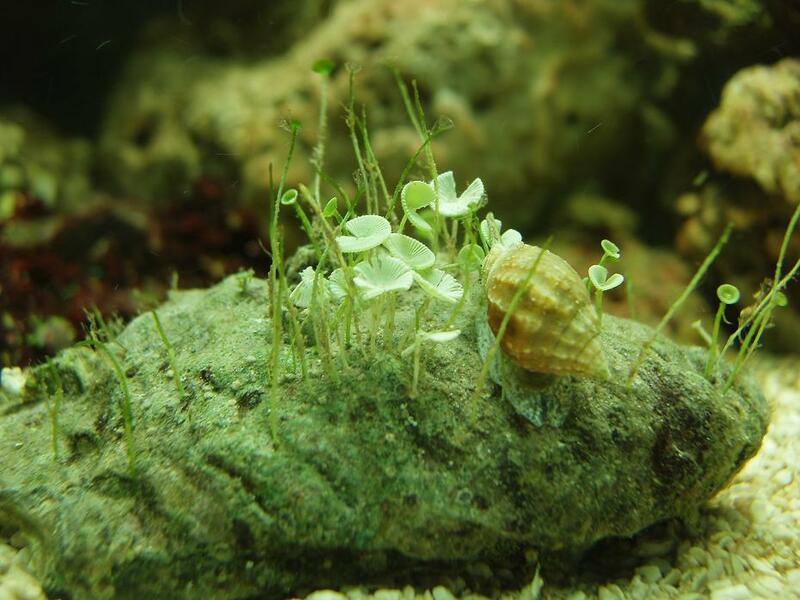 Note that the Nassarius Snail (Nassarius vibex) near it is not herbivorous. 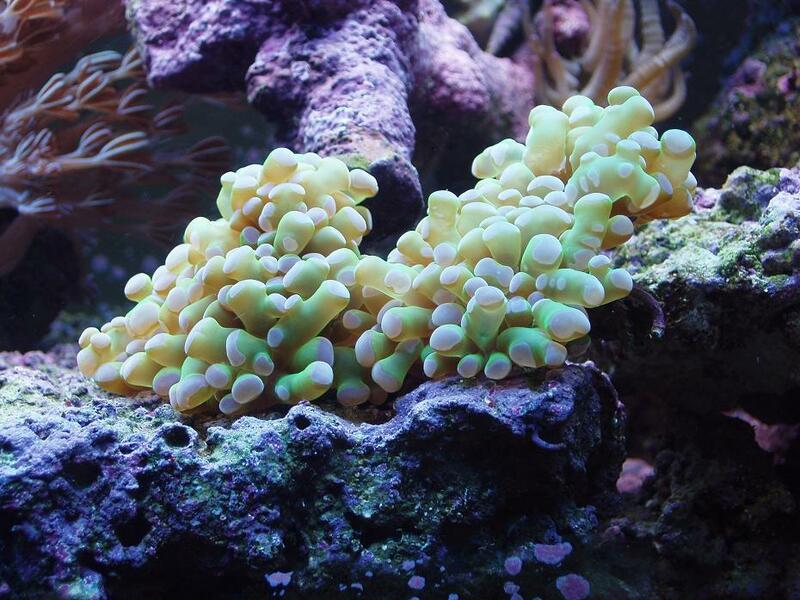 'Idaho Grape' Monticap (Montipora capricornis) in my 90-Gallon tank. 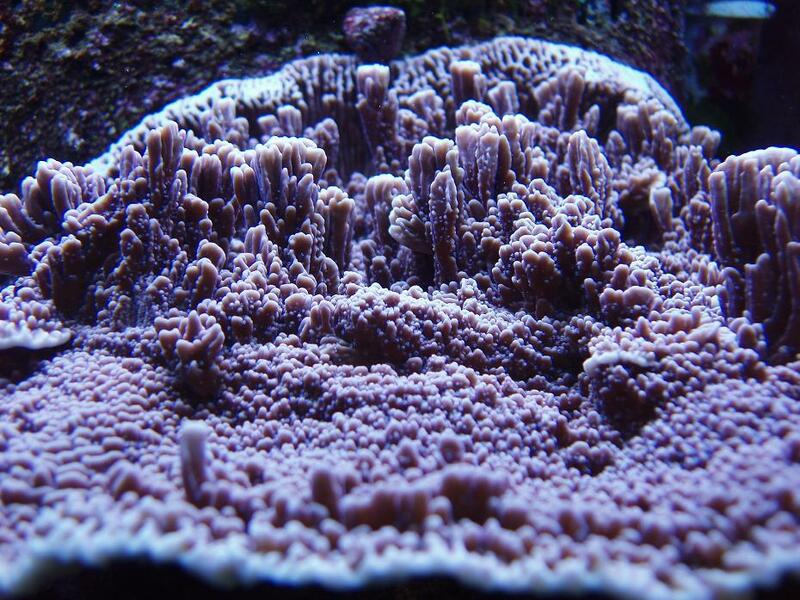 This coral started off as a quarter-sized frag about a year ago. 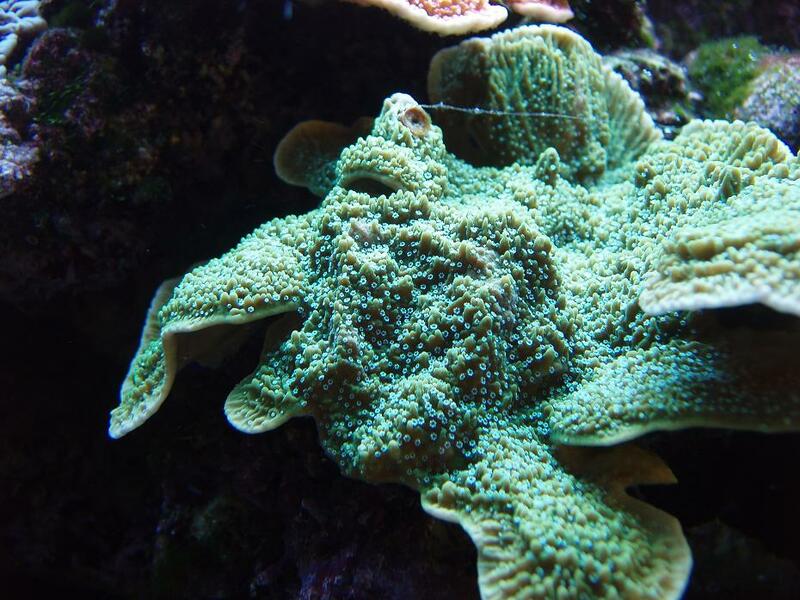 'Green Apple' Monticap (Montipora capricornis) in my 90-Gallon tank. Note what I believe to be a Grand Vermetid Snail (Serpulorbis grandis) burrowed into the coral. Frogspawn (Euphyllia sp.) in my old 55-Gallon tank back in January 2008. My 40-Gallon Display Refugium below my 90-Gallon Mixed Reef. Except where otherwise noted, all images on this site are my own and may be used freely with visible attribution.